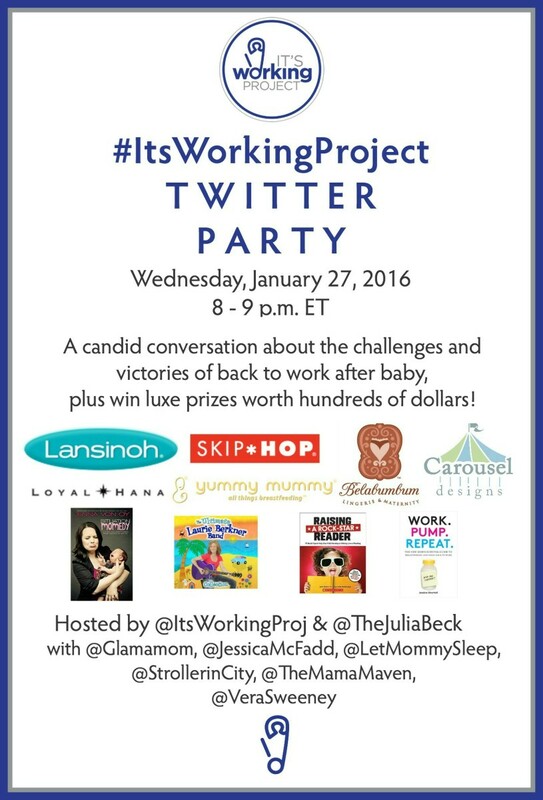 On Wednesday, January 27th from 8-9pm, It&apos;s Working Project will be hosting an #itsworkingproject Twitter event, with Glamamom as a co-panelist. We&apos;re opening up a conversation with online moms about work after baby and how companies can successfully bring new parents back to work with ease. We&apos;ll discuss the best strategies for work after baby and share tips for managing both professional and parent life, and most importantly, celebrating parenthood! Of course, there will also be some fabulous parent-centric prizes being given out along the way. Hope you&apos;ll join us! RSVP here.